Thinking about moving your wine into a wine storage facility? Read below for tips on selecting the best wine facility for your needs. There comes a time in every wine collector’s journey in which they must find a proper storage place for their growing bounty. That time came for me recently. I was completely out of room in my condo. Every dark closet and corner had been taken up with bottles. I had no room for wine refrigerators and no basement to build into a wine cellar. And with every passing day I got more concerned that the bottles that I did have stored in (relatively) cool, dark places in my home were not properly stored. The reality is, if you want your wine investment to retain its value and quality over time, you need to take care of it. And while a dark closet that sees relatively small temperature fluctuations is better for wine than open areas with light and heat, it’s not a good long term solution for a serious collection. So a few weeks ago I made the decision move a good chunk of my collection to the International Wine Vault in Framingham, Massachusetts. Here are some of the the reasons why I selected IWV. Chances are, if you live in or near a big city, there is at least one wine storage facility in your area. I can tell you that there are a few options in Massachusetts, all relatively convenient to Boston. I had to do a bit of research to find the storage solution that was right for me, but I wound up choosing International Wine Vault for a number of reasons. IWV is like a five star hotel for your wine. From the minute you are let into the building, you feel like your wine is going to get taken care of. Well hidden from the main road, and protected by an elaborate security and camera system, you feel like even a celebrity would be safe behind these walls. The whole place is temperature controlled and cooled to a lovely 55 degrees. Which makes you quickly realize how unhappy your bottles must’ve been in that closet in your 72-degree house. The space is also kept at the optimal humidity level of 70%. IWV has private lockers and bulk storage, and the prices (given all the perks you get) are reasonable. I opted for a 30-case private locker which gives me plenty of space to properly organize, store and grow my wine collection. But IWV has the capability to store any size collection, from just a few cases to a few thousand cases. And if I ever wanted to upgrade or downgrade, it would be easy to do so. Tip: while all storage facilities I looked into seem to offer both bulk and private storage, they don’t always put all of their options and prices on the web. You may have to reach out directly to find the best solution for you. One of the features of this facility that I was pleasantly surprised to find–making it even more five star hotel like–was their public lounge spaces. IWV Framingham has a beautiful wine room where customers can socialize and enjoy a bottle of wine from their collections. There is also a cigar room, with a humidor that will soon house cigar lockers. And if you want to host a little gathering/wine tasting in one of these rooms, they even have a professional kitchen for catering. As I quickly learned, a good wine storage facility is more than just a place to store your wine. The lounge rooms are a really nice feature, but the other set of perks goes beyond the facility itself. 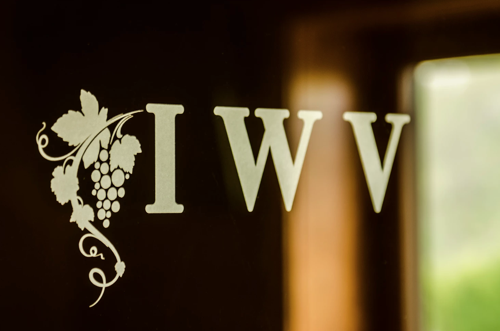 At IWV, you are essentially buying into a concierge service for all of your wine needs. Need an inventory taken of your collection? No problem. Ordering wine online and want it to go directly into your storage facility? Easy. Want to buy or sell some wine? They can help you there too. Plus, they can help you move. One of the biggest anxieties I have is how I would safely move my wine collection if I were to ever uproot my life on the east coast and move west (which is a possibility). A good storage facility like IWV will take care of everything for you, including finding another storage facility in the place you are moving to. There were two things that prevented me from making this decision earlier. One was cost and two was access. It is true that you will have to pay for a facility like IWV and it is true that you won’t be able to go into your closet and access your entire collection anymore. But let me ask you this: how much is your collection worth to you and do you really need access to all of your wine at all times? After doing some research and some thinking I concluded that my collection was worth a whole lot to me and I really wanted it properly taken care of. And I also realized that there were plenty of wines that I likely wouldn’t drink in the next year or two. So, I wound up packing up about half my collection. The rest I still have easy access to in my home. 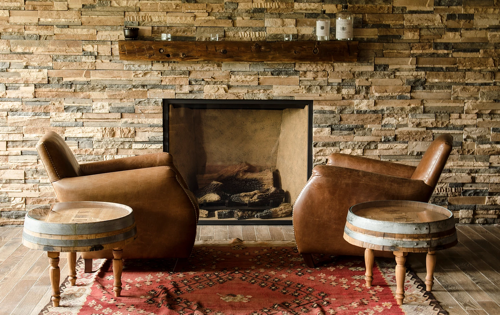 Plus, these storage facilities typically make it easy to access your wine. At IWV, as the owner of a private storage unit, I have access to my wine pretty much 24/7. I just have to drive 30 minutes to get there… which isn’t that big of a deal. Price wise, I’m paying a few hundred dollars a year. Which, I suppose, could be spent to buy some more wine. But again, how much is it worth to you to know that your wine is being properly stored? And, if you just have a small amount of wine to store you can get storage for as low as a few dollars a month. So, think it’s about time you got serious about your collection? International Wine Vault has locations in Framingham and Stoughton. Check out their website at: www.intlwinevault.com.